This is no guarantee that they will have the scales to weigh your trailer, but some do. I know that a Goodyear tire distributor brought individual scales to a NM Excel club camp out which really open a lot of folks eye about being over weight so you might call some tire distributors too. Regarding who can make this adjustment, again I would refer you to this list of dealers. I did mine myself, but I have automotive tech experience and I will tell you, it is not a fun job. If you will be in the Elkhart, IN area, Mor Ryde has the scales to weigh the coach. I mentioned in my post back to you that I had replaced the #11 spring with the #stiffest spring available, the #35. (there is an in between spring which is a #30) When the right front #11 spring failed, I had requested the #30 but received the #35 because they were out of stock. I was concerned that the spring would be too stiff and cause more road vibration to be transmitted into the coach, but I am not experiencing that--at least that I can tell. What was interesting about this was that the coach raised about 2 inches just by installing the #35 spring and my trailer sets perfectly level when hitched to our 08 F450 Super Duty with 4wd equipped with 19" diameter rims. "We had what I thought was an issue in an earlier trailer that left me scratching my head wondering why if the individual wheels need to be weighted, why isn't this service more available?" I have often wondered the same thing. I have asked at several tire dealers and no one has individual wheel scales. Do any of you know of more places to get each weighed beyond "alwaysfixin" 's morryde service centers noted above? Originally Posted by "John Galt"
And hence my dilemna - where in heck do you find places with individual wheel weighting capability? And where did you take the trailer to have the Mor-ryde adjusted? What does one do when you're already at the bottom hole of the suspension? LOW no longer available, either. Ever dealer or RV service place I've talked to has the same answer, "We don't do that." 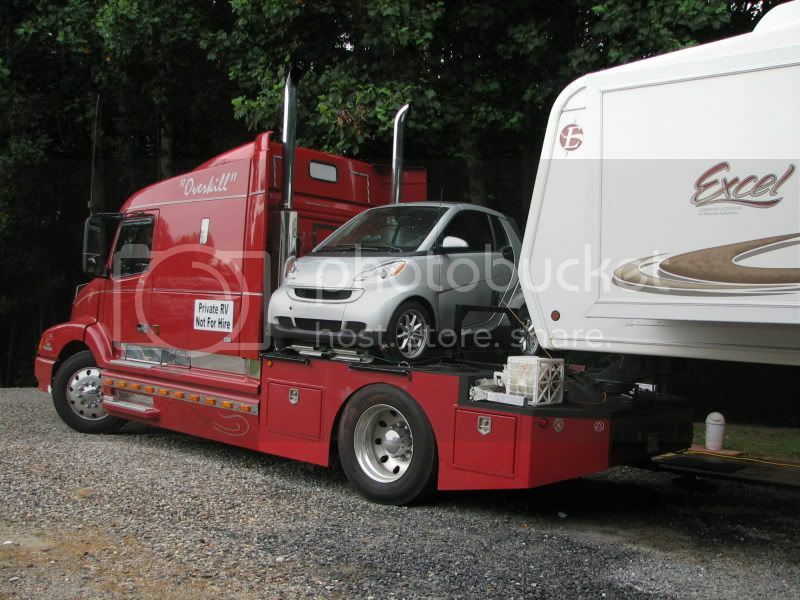 Davydee, we weigh our trailer at our local household moving and storage company - have seen scales at a lot of truck stops also, but they might charge - the moving company doesn't charge anything to just look at the scale weight without a certification.